Printing & Print Design Services for King of Prussia, Pennsylvania: Business Cards, Brochures, Post Cards and Envelopes for the King of Prussia, PA area, including Conshohocken, Valley Forge, Phoenixville, Plymouth Meeting and Paoli, Pennsylvania. If you are looking for print services in the King of Prussia, PA area, including Conshohocken, Valley Forge, Phoenixville, Plymouth Meeting and Paoli, Pennsylvania, then you came to the right place. Are you tired of dealing with your local print or copy shop? Are you sick of hearing the same excuses every time your order isn't done properly, the missed deadlines, the basic or subpar results of their designers and the lack of communication or care in your business relationship with them? We have some good news for you. Allen & Goel Marketing Company wants to be your TOTAL PRINT SOLUTION. We understand how busy you are, so when doing business with us, our goal is to make your print and design projects as stress-free as possible. We will also take the time to get to know your business so we can better serve your needs and exceed your expectations. 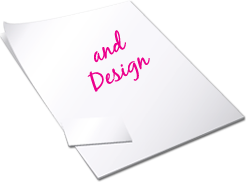 We offer a full range of business printing and graphic design services at a competitive price. Do you need full color postcards, flyers or brochures to market your business? Maybe you would like to give your business a more professional look with custom designed business cards, letterhead, envelopes and folders? You may need full color posters and banners for trade shows? Are you in need of a new logo or a complete rebranding of your business and message? We can help! Whether you are a small home based business or a large corporation, Allen & Goel Marketing Company can provide you with the Print and Design Solutions to fit your advertising and office needs.